After 120,000 downloads made it the number one music app in eight countries, we’re excited to announce that our iPhone app Yellofier has been given a brand new update. The groundbreaking app, which is made in collaboration with Electronic Beats and produced by Boris Blank and Håkan Lidbo, now has even more features blasting open its potential for music making. Chief among them is the ability to transpose each step in the sequencer by + 12 or – 12 opening up a range of melodic possibilities. An extra track has also been added, raising the amount of sounds that it’s possible to play simultaneously to 16, and there’s new pause and resume functionality. 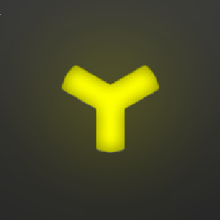 Yellofier Version 1.2 retails for €2.69. Android users… hold tight, the version for your devices should be available by the end of the year. You can see shop Telekom’s Top Apps or check out all our related tech coverage by heading here. Don’t forget to check out a Facebook gallery documenting what happened when Yello’s Boris Blank came to Berlin to meet the winner of our Yellofier track contest Marco Seibt. Below is a video (in German) about the updates filmed at the IFA tradeshow earlier this year.